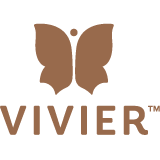 Viver Redness Program is available through our Amazon affiliate store along with a number of other Vivier products. Vivier has offered RRDi Members a 15% discount on a first order if you order through a Vivier authorized retailer Vivier using promo code CLEARSKIN15 on the Redness Program. This promo code doesn't work with Amazon and only works ordering through a Vivier authorized retailer, using the SuperiorSkin web site. Enter the promo code CLEARSKIN15 at the checkout.